Hello! Today I want to share a cute Deco Foil Snowman Card that I created using one of the snowmen from the Brutus Monroe Snow Friends Stamp Set. 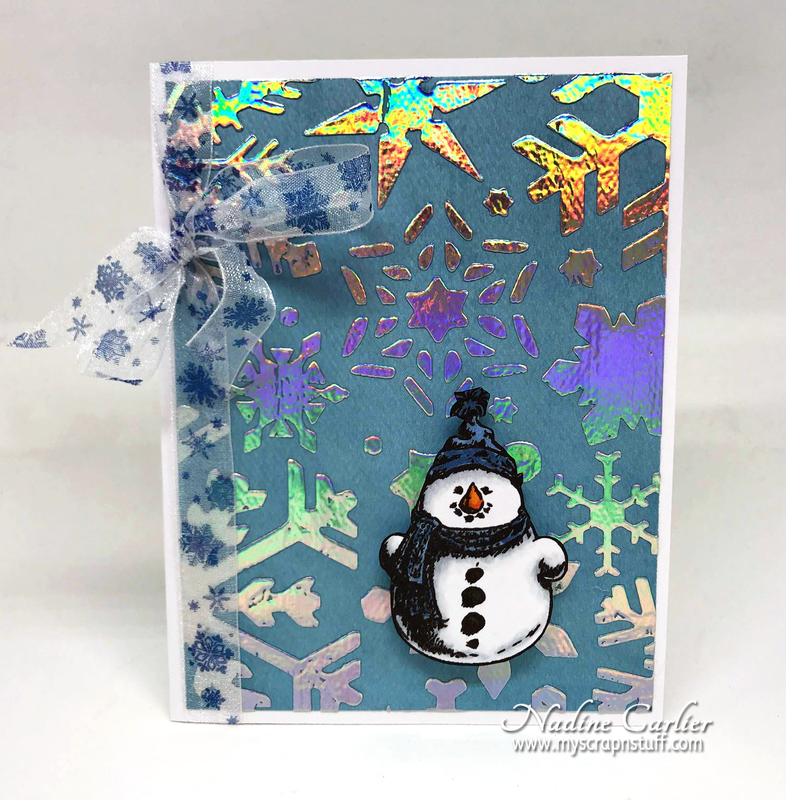 For the background, I used the Brutus Monroe Snowflake Stencil with Deco Foil Transfer Gel. 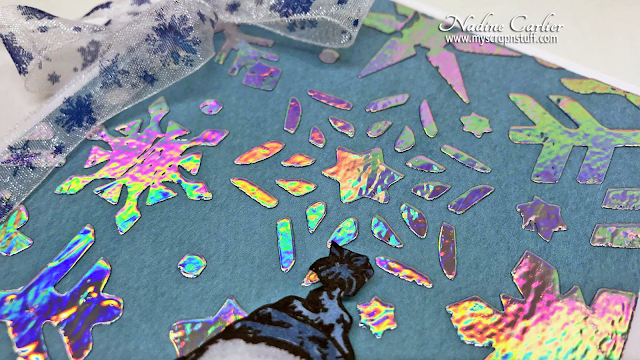 I let the transfer gel dry until it was clear and then placed a piece of Iridescent Deco Foil over it and ran it through the Foil Laminator. 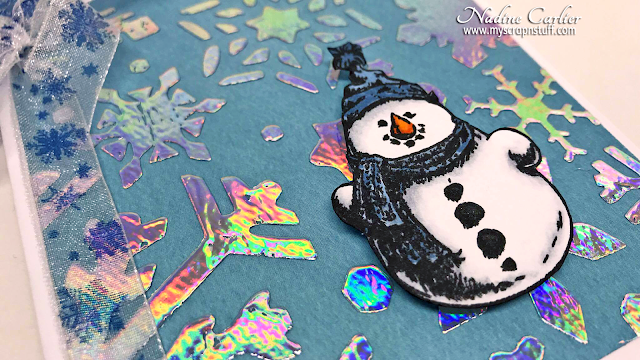 I colored the snowman in with Stylefile Markers, fussy cut him out and used Therm O Web Foam Adhesive Squares to pop him up onto the front of my card. You can see more of the new Brutus Monroe releases by clicking HERE.